When you contact us you'll deal directly with the owner, Ian Jenkins. 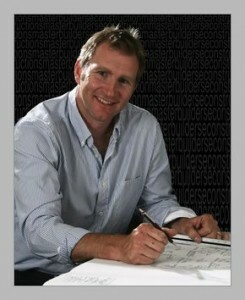 Ian Jenkins is the founder and Director of Econstructions. A fully qualified carpenter and Joiner who specialized in period homes and buildings during the time in his trade as a carpenter. Further studies at RMIT University in the Construction Management degree enabled Ian to spend over 10 years in management in the construction industry working on high end residential developments including redevelopment and restoration of the heritage Victoria listed Hawthorn Tram Depot. The understanding that our buildings need to become homes and our homes need to become part of the broader ecology in which we live all comes full circle when we create maximum benefit for ourselves and our neighbourhood by creating a building that uses minimum input of energy to receive maximum output of amenity and lifestyle.